Eagle ID (August 2018)—The Idaho Potato Commission (IPC) has launched its redesigned website with more mobile-friendly formats, scroll features, modified layouts and a load-on-demand feature. With over 2 million views in the last year, it's very important to the IPC that consumers, foodservice operators and industry have a seamless experience on the IPC site. 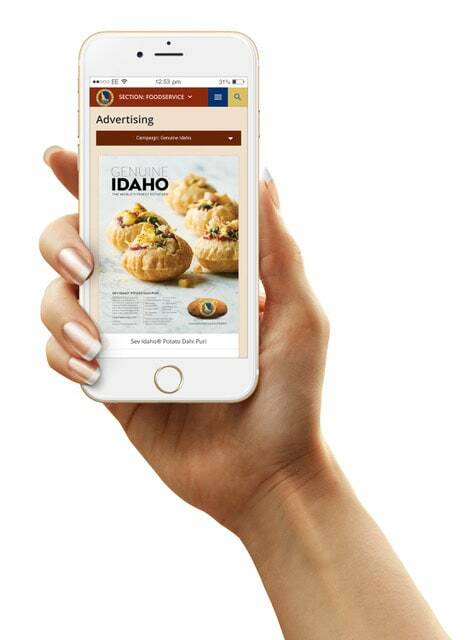 Along with seamless navigation, shorter load times and performance improvements, the new format highlights the site’s most trafficked pages including consumer and foodservice Idaho® potato recipes, Dr. Potato, consumer newsletters, and vlogger recipe videos. Links to each of these pages are now prominently featured on their respective homepage, giving visitors quick and easy access to their favorite Idaho® potato information. “We believe these new updates will greatly enhance our visitors’ experience on the site, encourage them to visit regularly, and continue to keep them excited about Idaho® potatoes,” added Muir. To view the updated website, visit https://www.idahopotato.com/foodservice. While on the site, explore the database of over 1500 Idaho Potato Commission foodservice recipes, including 84 innovative dishes selected from the annual Idaho Potato Commission Chefs Calendar. Established in 1937, the Idaho Potato Commission (IPC) is a state agency that is responsible for promoting and protecting the famous “Grown in Idaho®” seal, a federally registered trademark that assures consumers they are purchasing genuine, top-quality Idaho® potatoes. Idaho’s growing season of warm days and cool nights, ample mountain–fed irrigation and rich volcanic soil, give Idaho® potatoes their unique texture, taste and dependable performance. These ideal growing conditions are what differentiate Idaho® potatoes from potatoes grown in other states. For more information, visit: www.idahopotato.com.